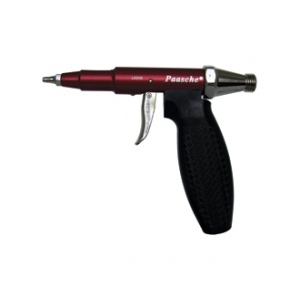 This unit is ideal for taxidermists, ceramists and hobbyists who wish to apply lacquers, varnishes, heavy glazes and paints. Available in four tip sizes for light to heavier fluids. Use HL-3/16" air hose. For a complete unit of handpiece and quart cup assembly, make sure to order the same size of each (eg. L#1 and L-SC#1). *Sizes must be matched for L sprayer & L-SC cup assembly. *L-SC cup assembly is sold separately.